Joseph D'Hippolito on When Gatekeepers Attack! Is Wheat Bad For You? “Is Wheat Bad For You?” That’s the question I typed into Google this morning. The results were interesting. Before I get to the results, let me back up a step. Since my family and I have gone primal, one of the chief differences in our lifestyle is the elimination of grains – particularly wheat. This wasn’t an easy step. You’d be hard pressed to find someone who loves wheat as much as I do. I mean, there have to be hot French Baguettes in heaven, next to a spread of triple-cream brie, dry Italian salami, prosciutto, and gallons of red wine, right? We’ve discovered how much better we feel now that we’ve purged grains from our diet. I’ve lost 25 lbs. in two months (with relatively minimal physical activity – I work a sedentary job and don’t always find time to go walking) and Jamie has lost 20 lbs. This isn’t just weight loss, but actual fat loss. I’ve slimmed out far more with this drop in weight than I could have hoped. I was definitely rounder, for lack of a better word, the last time I was at this weight. I’ve lost at least 4 inches off my waist, and I can’t even wear my wedding ring anymore. In addition, Jamie’s arthritis and chronic back pain have cleared up. My back pain is also gone (I have mild scoliosis and it causes serious issues in my neck and shoulders.) We both have fewer headaches in general, and Jamie never gets migraines anymore. We have greater mental clarity, strength, stamina, and energy. Mood levels have stabilized substantially. I’m prone to bouts of depression and anger, and those are just about nullified. The kids are more focused and less spastic. Not to be gross, but we hardly ever suffer from gas anymore. The chest pains I used to get on occasion (or sometimes frequently) are gone. I won’t know until I get to the doctor, but my guess is that both my blood pressure and cholesterol levels will be down. The list goes on. Now, we haven’t just removed things from our diet, we’ve added things in. We’re eating more fat and cholesterol (the horror!) and in particular medium chain fatty acids like those found in nature’s wonder food, coconut oil. We’re also getting all of our carbs from vegetables and fruit now. We also eat a great deal less than we used to. This week, I’ve been skipping lunch altogether and eating a meal around 4PM, which holds me over (with the addition of a light snack) until bed time. I’m not hungry enough to eat three full meals a day anymore. And because of that, I’ve been dropping close to a pound a day this week. This is a good thing when you still have 40lbs. to go. So let’s get back to the subject at hand. We believe a large part of the reason why we’re losing fat, feeling better, and generally feeling like we have a new lease on life is the elimination of grains, particularly wheat. That’s a hard sell to most people who’ve grown up on the USDA food pyramid. Americans are wheat eaters. We love our bread, cereal, cookies, cakes, etc. And you find wheat in a thousand other things you’d never expect, like pre-packaged meatballs and cans of tomato soup. It’s in everything. And considering it’s been one of the building blocks of civilization over the past 10,000 years, it’s got a bit of history to it. Not as much history as the hunter/gatherer lifestyle, but that lifestyle ended for a reason: it was freaking hard. And not conducive to building cities. I’ve had discussions with people lately about how if we feel better because we got rid of wheat, it must be because we have a problem with wheat, not because wheat has a problem with humans. We must be celiac, or have gluten sensitivity, or be otherwise allergic. I will grant that any of these things could be possible, though I also find it strange that I lived my life gnawing on sandwiches and home made bread and having toast every morning for breakfast without having any major issues before I eliminated it from my diet and now suddenly I’m celiac. It could happen – people who are slowly poisoned by things don’t always get gravely sickened by them until they stop building up an immunity (think Iocaine powder) and it’s possible that eating wheat all the time kept me oblivious. But I think there’s more to it. I’ve been reading things that lead me to believe that wheat might actually kill you dead over the long term. And that was worth finding out more about. So back to my Google search. I’ve excerpted a few articles below and highlighted some of the salient bits. It’s a lot to read so I won’t blame you if you don’t. So I asked everyone to remove wheat to observe the blood sugar effects. People would come back after a 3-6 months and, indeed, their blood sugars and HbA1c (a measure of prior 60 days blood sugar) would be much lower, even to the point at which some diabetics were no longer diabetic. But people told me plenty more: They lost 30 pounds, lost 4 inches from their waist, felt better than they had in 20 years with more energy, less moodiness and deeper sleep. They told me how they experienced complete relief from acid reflux, irritable bowel syndrome, migraine headaches, hand and finger arthritis and joint pain, sinus congestion and chronic sinus infections. They told me about how their asthma improved so much that they threw away three inhalers, their rheumatoid arthritis was so much better they were in the process of reducing medication, their ulcerative colitis and Crohn’s had improved so much that no medication was required any longer, their leg edema had disappeared and rashes were gone. At first, I dismissed it as pure coincidence. But the effects became so frequent and consistent that the conclusion became unavoidable: Wheat was the underlying cause for an incredible array of health problems and weight gain, and that eliminating was key to astounding health. And note that this was not gluten avoidance for the gluten-sensitive; this was wheat avoidance for everybody, as it was a rare person who didn’t experience at least some measurable improvement in health, if not outright transformation. I now recommend complete wheat avoidance for all my patients, as well as anyone else interested in regaining control over health and weight. Wheat consumption causes heart disease. It’s not cholesterol, it’s not saturated fat that’s behind the number one killer of Americans; it’s wheat. The nutrition community has been guilty of following a flawed sequence of logic: If something bad for you (white processed flour) is replaced by something less bad (whole grains) and there is an apparent health benefit, then a whole bunch of the less bad thing is good for you. Let’s apply that to another situation: If something bad for you—unfiltered Camel cigarettes—are replaced by something less bad—filtered Salem Cigarettes—then the conclusion would be to smoke a lot of Salems. The next logical question should have been: What is the health consequence of complete removal? Only then can you observe the effect of whole grains vs. no grains . . . and, from what I witness every day, you see complete transformations in health. Another study comparing the blood of 10,000 people from 50 years ago to 10,000 people today found that the incidences of full-blown celiac disease increased by 400 percent (elevated TTG antibodies) during that time period. (ii) If we saw a 400 percent increase in heart disease or cancer, this would be headline news. But we hear almost nothing about this. Due to a high starch content, grains are inflammatory foods. The more refined the grain, the more inflammatory it is. For example, unbleached white flour is more inflammatory than whole grain flour; however, whole grains are still moderately inflammatory foods and certainly more inflammatory than other foods like fresh vegetables and wholesome fats. Chronic inflammation is linked to a myriad of degenerative, modern diseases including arthritis, allergies, asthma, cardiovascular disease, bone loss, emotional imbalance and even cancer. Unbleached white flour earns an inflammation factor of -421 or strongly inflammatory on NutritionData.com while whole wheat flour earns an inflammation factor of -247 or moderately inflammatory. Similarly, whole cooked millet earns an inflammation factor of -150 and cooked brown rice earns an inflammation factor of -143 – also moderately inflammatory. Clearfield Wheat, grown on nearly 1 million acres in the Pacific Northwest and sold by BASF Corporation–the world’s largest chemical manufacturer–was created in a geneticist’s lab by exposing wheat seeds and embryos to the mutation-inducing industrial toxin sodium azide, a substance poisonous to humans and known for exploding when mishandled, says Dr. Davis. This hybridized wheat doesn’t survive in the wild, and most farmers rely on toxic chemical fertilizers and pesticides to keep the crops alive. An intolerance to gluten can cause a wide array of symptoms, some debilitating. Moreover, delays in diagnosis or common misdiagnoses can be devastating to long-term health. Gerta Farber elaborates on her research and personal experience with Celiac disease. Below the radar of conventional serological testing for antibodies against the various gluten proteins and genetic testing for disease susceptibility, the WGA “lectin problem” remains almost entirely obscured. Lectins, though found in all grains, seeds, legumes, dairy and our beloved nightshades: the tomato and potato, are rarely discussed in connection with health or illness, even when their presence in our diet may greatly reduce both the quality and length of our lives. We physicians with all our training, knowledge and authority often acquire a rather large ego that tends to make it difficult to admit we are wrong. So, here it is. I freely admit to being wrong. As a heart surgeon with 25 years experience, having performed over 5,000 open-heart surgeries,today is my day to right the wrong with medical and scientific fact. The rest of us have simply followed the recommended mainstream diet that is low in fat and high in polyunsaturated fats and carbohydrates, not knowing we were causing repeated injury to our blood vessels. Thisrepeated injury creates chronic inflammation leading to heart disease, stroke, diabetes and obesity. Foods loaded with sugars and simple carbohydrates, or processed withomega-6 oils for long shelf life have been the mainstay of the American diet for six decades. These foods have been slowly poisoning everyone. Some animals are clearly adapted to grain consumption. Birds, rodents, and some insects can deal with the anti-nutrients. Humans, however, cannot. Perhaps if grains represented a significant portion of our ancestral dietary history, things might be a bit different. Some of us can digest dairy, and we’ve got the amylase enzyme present in our saliva to break down starches if need be, but we simply do not have the wiring necessary to mitigate the harmful effects of lectins, gluten, and phytate. Lectins are bad. They bind to insulin receptors, attack the stomach lining of insects, bind to human intestinal lining, and they seemingly cause leptin resistance. And leptin resistance predicts a “worsening of the features of the metabolic syndrome independently of obesity”. Fun stuff, huh? Gluten might be even worse. Gluten, found in wheat, rye, and barley, is a composite of the proteins gliadin and glutenin. Around 1% of the population are celiacs, people who are completely and utterly intolerant of any gluten. In celiacs, any gluten in the diet can be disastrous. We’re talking compromised calcium and vitamin D3 levels, hyperparathyroidism, bone defects. Really terrible stuff. And it gets worse: just because you’re not celiac doesn’t mean you aren’t susceptible to the ravages of gluten. As Stephan highlights, one study showed that 29% of asymptomatic (read: not celiac) people nonetheless tested positive for anti-gliadin IgA in their stool. Anti-gliadin IgA is an antibody produced by the gut, and it remains there until it’s dispatched to ward off gliadin – a primary component of gluten. Basically, the only reason anti-gliadin IgA ends up in your stool is because your body sensed an impending threat – gluten. If gluten poses no threat, the anti-gliadin IgA stays in your gut. And to think, most Americans eat this stuff on a daily basis. Phytates are a problem, too, because they make minerals bio-unavailable (so much for all those healthy vitamins and minerals we need from whole grains! ), thus rendering null and void the last, remaining argument for cereal grain consumption. What, then, is the point to all this grain madness? Is there a good reason for anyone (with access to meat, fruit, and vegetables, that is) to rely on cereal grains for a significant portion of their caloric intake? The answer is unequivocally, undeniably no. We do not need grains to survive, let alone thrive. In fact, they are naturally selected to ward off pests, whether they be insects or hominids. I suggest we take the hint and stop eating them. Am I 100% convinced that wheat, delicious wheat, is the devil? Not yet. But I am becoming increasingly convinced that it probably is. There’s still a big part of me (hold off on the fat jokes) that wants to go take my wife off to Paris and stuff my face with croissants. I want to bring home a baguette now and then and slather it with Brillat-Savarin. And maybe I will anyway, just like once in a great while I light up a Dunhill just for the nicotine-fueled joy of it. I don’t believe the end game of this life is, well, this life. We’d all do well to spend the better part of our time prepping for the after party. But I can tell you that feeling as good as I’m starting to feel without these certain, decadent joys in my life is a fair replacement for the joys themselves. So if I indulge occasionally, it will be very occasionally, and I will do so knowing that for a simple and brief gustatory delight, I may spend quite a few hours feeling lousy, paying the price. 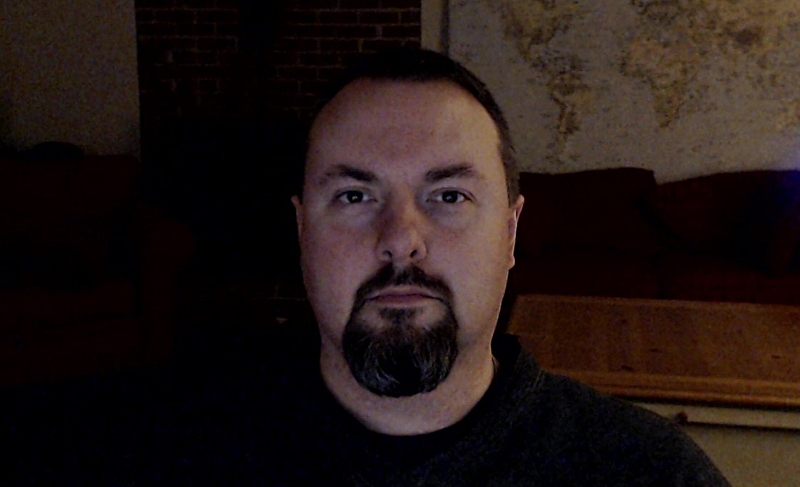 Steve Skojec is a storyteller, writer, blogger, photographer, designer, and sci-fi fan. He is the Founding Publisher and Executive Director of OnePeterFive.com. He received his BA in Communications and Theology from Franciscan University of Steubenville in 2001. He lives in Northern Virginia with his wife Jamie and their seven children. Is Wheat Bad for More Than Just Your Health? OK, I’m pretty much convinced, but here’s my main question. I’ve more or less cut out wheat, except for the occasional cave-in (about once a month) when I have a piece of this (incredibly awesome) Italian fried flatbread. I don’t eat pasta at all, and have stopped buying bread. I eat bread only when we go out to eat in restaurants and they bring this incredible irresistible Tuscan bread to the table. Then it’s about four slices. (Ugh, I know!) But I don’t eat out much these days, it being difficult for me to get into the City. I have had blood sugar problems and low hemoglobin (anaemia) and the surgery I’ve just had often causes chronic leg edema, which I really want to avoid if possible. I’ve also had peripheral neuropathy since the second cycle of chemo. All of these things the anti-wheat doctor said can be helped by not eating wheat, so that’s great. I have always avoided processed foods, except for cheese. And, being Canadian and having been raised by West Coast hippies, I have never eaten pre-fab food at all, always having done my own cooking from fresh food. In Italy, you can’t really get canned soup, so now that’s out too. No threat from hidden wheat in Campbell’s Tomato. I just want to know whether rice and whole barley, two grains I’ve been having a bit more of lately, do the same things to you, or if they are relatively safe. Barley is supposed to be quite good for you, having water soluble fibre throughout the grain, instead of just in the germ. And rice cakes are now the only thing I can eat cream cheese and ricotta on. And what the hell good would life be without cream cheese, mascarpone and ricotta pecora? Glad to hear that you’re on board! I love bread, so I may never get over that, but I’m surviving. As for rice, from what I’ve read it’s probably the least offensive cereal grain from a health perspective. And of course, Asians eat boatloads of the stuff and stay healthy, though there’s more to that than just nutrition. Barley, on the other hand, is in the trio of grains that ruin life for celiacs (along with rye and wheat). I believe this is because of the gluten content. It’s a different gluten than wheat, but it still causes problems. Rice is safer because it is, if I’m not mistaken, gluten-free. For a good overview of the problem with grains, I suggest this article. Stop Believing You’re Entitled and Feel Good About it. Bless me Steve, for I have eaten cake. I bought it already mixed up in a mylar package. Lemon. You just pour it into the pan and shove it in the oven, and 25 minutes later, Sweet, Sweet cake. I put fruit in it. Plums. They baked all nice and squishy and tangy at the bottom. I ladled whipped cream over the whole thing and ate it for dinner. Breakfast the next day too. But now I’m back to sanity. There is nothing wrong with eating wheat. All you’re doing is cutting out carbs. NOTHING NEW DID YOU DISCOVER. You have know idea what you’re talking about except you are on the Atkins diet and don’t even know it. thanks for the information. i wonder if any substitute ingridient has been found for bread, pizza, spaghetti etc. i think we can’t eat most of the foods without flour. probably rice will be the best choice, and i know the feature of flour completes the most of the western foods. There are a number of gluten-free products out there, and they include a variety of other starches or starch substitutes: rice, potato, arrowroot, tapioca, coconut and nut-based flour, chia, coconut, flax, amarinth, black bean, etc. Rice seems to be in most of these, so I’m assuming it’s the closest. Nothing gives the same sort of texture as wheat, but I’ve had some gluten-free products that were very good. Since our family tries to be completely grain-free, we mostly do the nut and coconut flours. Do you eat meat? Just curious because my son and wife became vegan and they have the same claims as you. Feel better, not sick, no aches and pains, etc. Trying to figure out what to eat! I too have scoliosis and peripheral neuropathy and migraines, tho very infrequently now, arthritis, gas, and various other annoyances. What do you think? i just had about a spoonful of cake and within an hour, I felt like I got the wind knocked out of me and have to rest to catch my breath. Also feel dizzy and exhausted. I also have hypoglycemia so am real affected by certain carbs but wheat seems to have a worse effect on me than chocolate. My name is Steve. I write things. In dark, grainy rooms. © Copyright Steve Skojec 2015. All Rights Reserved.